Glaucoma is the second-most common cause of blindness worldwide. Ophthalmologist Roger Furlong, MD, specializes in treating glaucoma at Rocky Mountain Eye Center locations in Missoula, Hamilton, and Butte, Montana. Early diagnosis is the best way to slow or prevent vision loss from glaucoma, so call or book an appointment online today. The eye diseases that encompass glaucoma cause damage to your optic nerve. This damage usually occurs when fluid builds up and increases the pressure in your eye. Without treatment, glaucoma causes progressive vision loss and eventual blindness. Open-Angle Glaucoma: Open-angle glaucoma is the most common type of the disease. This typically happens when the eye doesn’t drain fluid properly, which causes eye pressure to increase gradually. Open-angle glaucoma doesn’t cause pain or vision changes at first. As the disease progresses, you may develop patchy blind spots in your peripheral (side) vision. Most people don’t notice these vision changes until significant damage has already occurred. 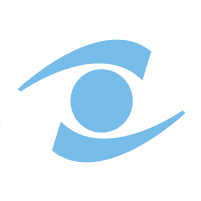 You should call Rocky Mountain Eye Center immediately if you experience these symptoms. What Tests Might I Need for Glaucoma? Dr. Furlong may also take imaging tests to detect or monitor changes in your optic nerve or optic disc. These include optical coherence tomography, which scans your optic nerve, and optic disc photos. Treatment cannot reverse eye damage from glaucoma. However, regular checkups and early treatment at Rocky Mountain Eye Center can help slow the progression of the disease and even prevent vision loss. For early diagnosis and treatment of glaucoma, call Rocky Mountain Eye Center or book an appointment online today.